Kids (1 mile, free race – age 10 and younger) starts at 10:00 a.m. Adults (age 11+) starts at 11:00 a.m.
Reach The Peak NH Promising to be one of the area’s toughest races, Community Alliance of Human Services announced this week that plans for its third annual muddy obstacle course competition are well underway. The 5K race, complete with a variety of obstacles that will include mud bogs, walls, tire and pipe obstacles, and ropes. No reviews yet for Claremont New Hampshire Reach The Peak NH 2019. Click here to be the first! Children 10 & Under can register for the kids race! $5 on pre registration and $10 on race day! Reach the Peak is an adventure challenge that incorporates all-around toughness, strength, stamina, and grit. Reach the Peak gives participants the opportunity to test themselves in every way - all in one place and in one morning. There is enough parking space where the race is located. The registration will allow four team members… you can continue adding teams of four until registration is sold out. 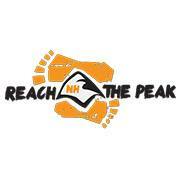 Please see our obstacle course race discount & promotion page for all the latest discounts, promos, promotions, discount codes, and coupon codes for Claremont New Hampshire Reach The Peak NH 2019. There also may be one listed at the top of this page.